When talking about shelves, people first think of metal shelves, a row of shelves full of items that are common in supermarkets. Today, shelves wholesale introduces paper shelf maintenance methods. The Cardboard Environmental Protection Display is made of paper. The first maintenance is moisture-proof. When the paper shelf is damp, it will become soft and deformed. This is the most deadly damage. Therefore, the paper shelves should not be placed in the fresh area, nor in the place where the air conditioner is placed. The paper shelf is damp and should be wiped dry with a rag in time to avoid seeping into the paper. The second paper shelf should not be overloaded during use. The paper shelf has its maximum load, which is already destined in its design, so do not force the load during use to avoid deformation, cracking, etc. 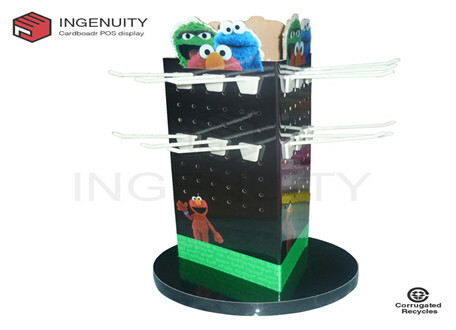 In the process of using the third cardboard environmental protection display stand, it is strictly forbidden to place ultra-high and wide-width goods, which will cause damage to the paper shelf to a certain extent, and the size of the product is also determined by the design time. The fourth paper shelf has been placed on the store, and it is not suitable to move it. If you need to move the goods down or put the horizontal things below, then the industry will move smoothly. Take care to handle it gently to avoid impact. The fifth regular cleaning. 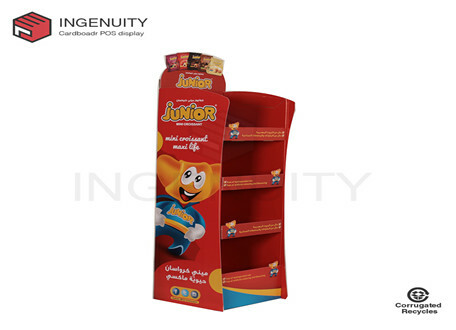 Only paper shelves with a neat appearance will attract more consumers. NEXT: What Are The Characteristics Of Paper Environmental Pallet Displays?